The police in Thanh Hoa Province has pulled over many overloaded passenger buses after the Tet holiday. As the Tet holiday ends, many people returned to cities to resume their work and studies. As a result, demand for transport surged sharply, bringing with it negative effects including overcharging and overloading. On sardine-packed passenger buses, people have had to sit or sleep on the floor. At 11 am on February 10, the police pulled over a 40-seat passenger bus that was carrying 72 passengers. At 2.15 pm on the same day, a 43 seat bus was found carrying 68 passengers. The excessive passengers were transferred to another vehicle. 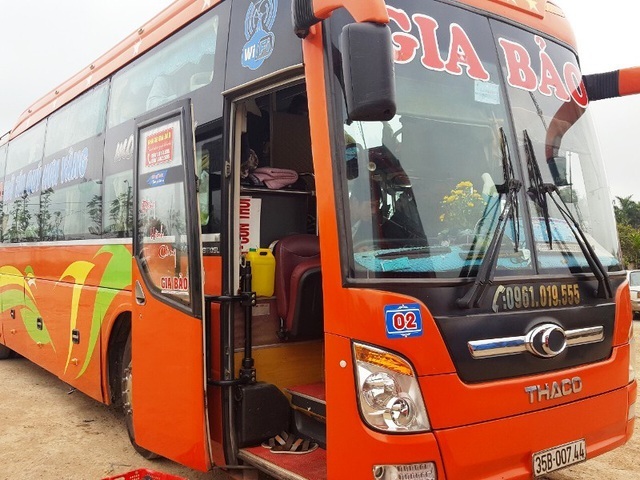 Major Ngo Pham Tuan from Quang Xuong Commune Traffic Police Department said they continued to pull over a bus that was running from Ninh Binh to Dak Nong Province. There were 62 passengers in a vehicle with 43 seats. The driver also doesn’t have a driving licence or vehicle registration certificate. The driver then signed a commitment to not drive overloaded buses and the transportation company, Ninh Binh Automobile Transportation Co-operative, will face administrative fines. From February 2 to 10, the traffic police in Quang Xuong Commune dealt with 216 violations, collected VND517m in fines, revoked 52 driving licenses and seized 18 buses. A total of 68 overloading cases and 18 drunk driving cases were recorded.